Lately, everything amazing that travels through town seems to stop at the Denver Art Museum; Georgia O’Keeffe in New Mexico, Becoming Van Gogh (which was a worldwide exclusive for the museum), and, most recently, A Passport to Paris. As with those three, Modern Masters: 20th Century Icons from the Albright-Knox Art Gallery has Van Gogh, O’Keeffe, Tourlouse-Lautrec, and more. They’re just the tip of the proverbial iceberg. The big bonus? 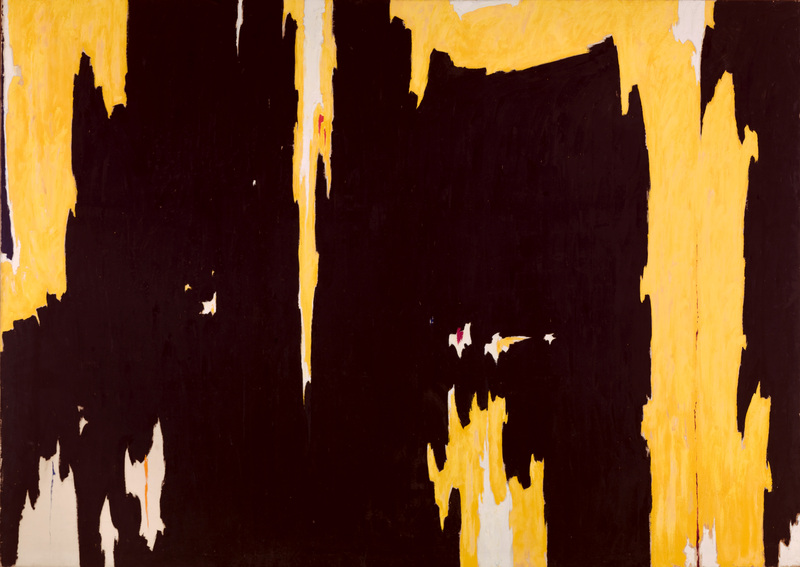 The Clyfford Still Museum is included in the ticket. So, once done at the Denver Art Museum, head next door to see more of Still’s fantastic work. I stopped in when the museum first opened, so let my friend set the pace when I went through this second time. While not all of his work is to my liking, the bulk of it is really impressive and right up my alley seeing as my tastes drift to abstract and Impressionism. 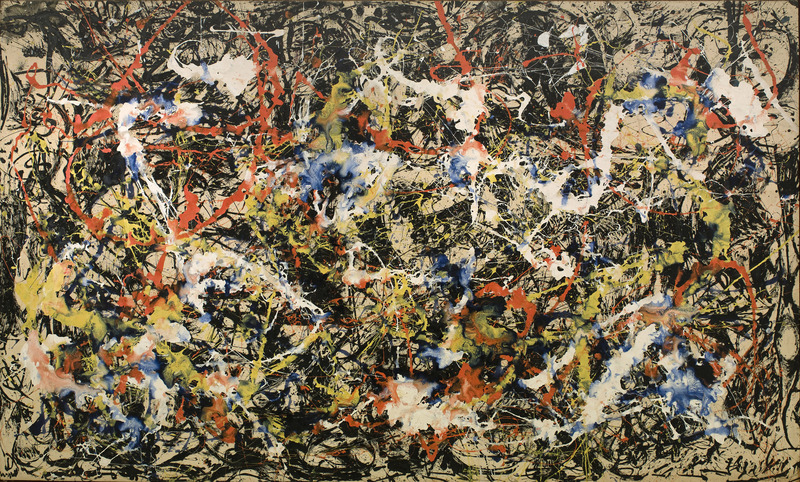 My favorite piece at Modern Masters doesn’t really fit into either of those categories. At least not in my mind. And it’s someone who I had never heard of before. Does the name Giacomo Balla ring a bell? If it does, you’ve one-upped me. 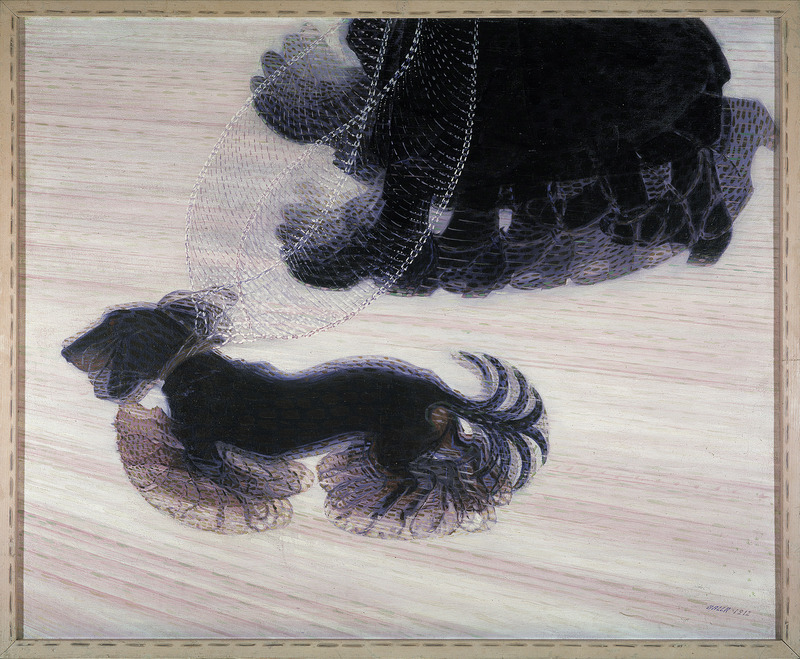 Never before had I heard of the Italian painter or his Dynamism of a Dog on a Leash. I love Giacomo’s use of motion in the painting. This technique is something I don’t ever recall having seen done before. I’m sure it’s not unique to this picture. But it was new to me. And, as such, it stood out and impressed me. 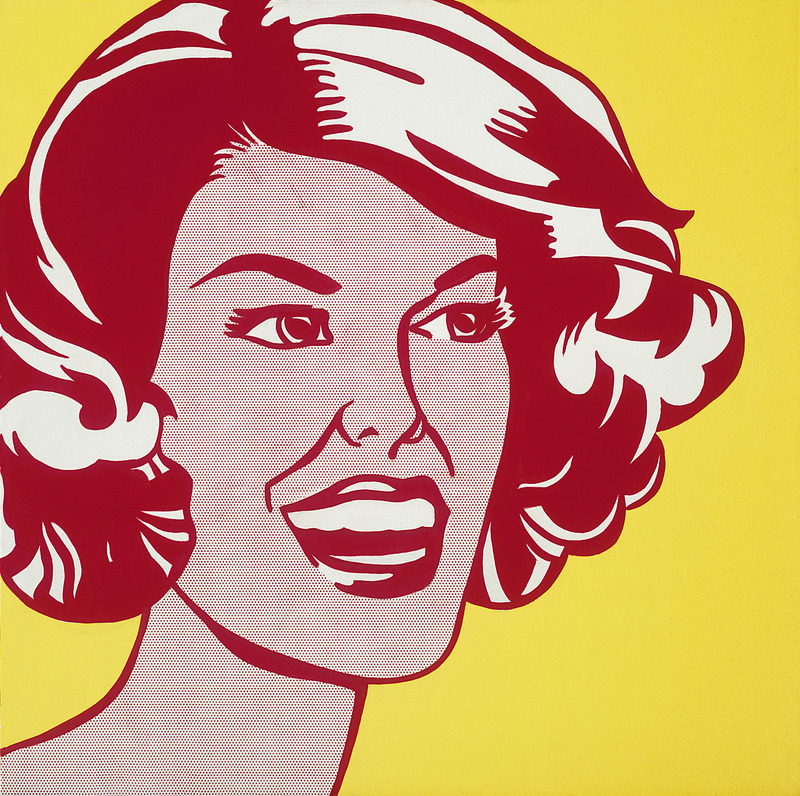 Sure, overall I was more attracted to others – like Roy Lichtenstein’s piece (top), which seems to be the face of the exhibition, in a manner of speaking – but Balla’s work definitely stood out. As we left the exhibition, I recalled the latest permanent acquisition by the museum. 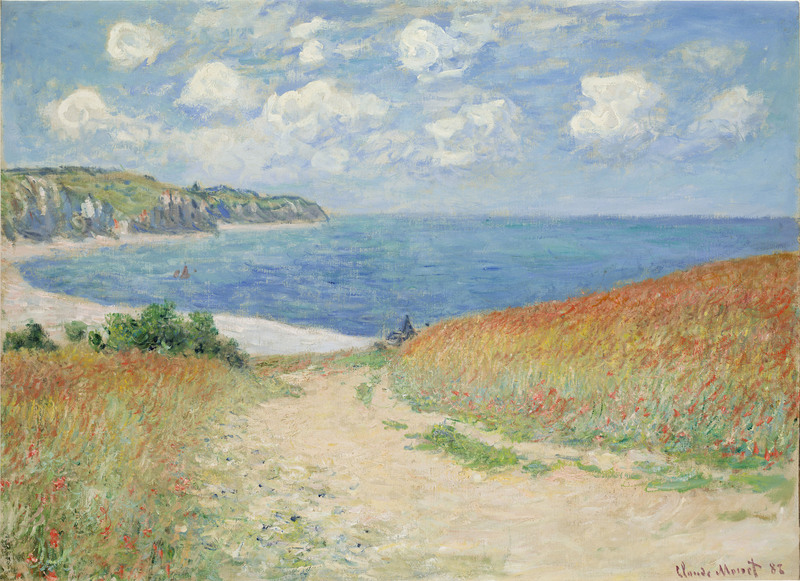 Their largest-ever donation includes 22 Impressionist paintings, including Cezanne, Van Gogh, Pissarro, and Monet. Again, so many of my favorites and all in one spot. Originally, these works were part of the Passport to Paris exhibition. Now they’re all part of the collection, and just one more reason to make a stop at the Denver Art Museum. Catching up on the one gallery in the Passport to Paris exhibition I missed; stopping in again at the Clyfford Still Museum; and seeing some of the best art in the world, which is normally at the Albright-Knox Art Gallery in Buffalo, New York – yes, Buffalo of all places! – makes for one heck of an afternoon. How could I not be impressed? It’s near impossible, considering what both my friend and I experienced, which was a great day spent together checking out some priceless art. FULL DISCLOSURE: The Denver Art Museum comp’d me my ticket. I didn’t gush about it, though, because they gave me a freebie. It only costs a couple of bucks to get in. I can afford that on my own. I raved about this exhibition, because it really is awesome. Really. Now go see it.